Physical description Height "5" feet "8" inches; Weight "" pounds "" ounces; Description "Complexion: Brown"; Medical ""; Hair color "Brown"; Eye Color "Grey"
(CEF - WWI) ... the Germans nicknamed them "Storm Troopers"
Sidney Thomas Rippington was a "soldier-settler" who came to Pitt Meadows sometime around 1922 (starts to appear in property tax records). Land grants were issued to ex military in the 1850's/60's to help settle the area but your S.T. 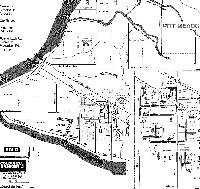 Rippington was not part of this settlement pattern as he was not born until the 1880's. I think he must have settled as a veteran of the 1st World War (but I am not sure). We have limited property tax records at the Museum. Our records begin in 1922 and he is shown paying taxes on 40 acres of land for $1900.00. It does not say where the 40 acres were but they would have been in Ward 4 (wards have been obsolete here for at least 40 years) which is likely in the area of the road that bears his name. This area is on the north west side of Pitt Meadows. Mr. Rippington appears on voting lists for Ward 4 in all the years we have lists for starting in 1938. We have homeowner directories for the area going back to 1890. However, we do not find Mr. Rippington's name in them until 1931. I don't know what this means unless he owned land from earlier on but did not live on it until 1931. However, the Canadian Census of 1911 does list a Sydney Thomas Rippington as a resident of Vancouver City at that time. His age in the census is 28 which is the approximate age your S.T. Rippington would have been at the time. Sidney Thomas Rippington died January 2, 1974 at age 90. His place of death is a small community in the interior of the Province. 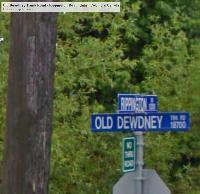 Travelling east on the Dewdney Trunk Road exits on the north side of it are Reichenback Road, named for a soldier-settler and Rippington Road, also for a soldier-settler. 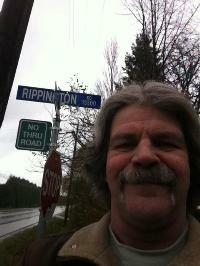 Sydney T. Rippington's name will always be associated with Pitt Meadows. He was a soldier-settler living on the east side of Rippington with the Alouette River bordering the northern part of his property. He served for many years as a councillor and also as president of the Farmer's Institute. It was he who chaired the gathering at Pitt Meadows Hall, May 24, 1937, when Reeve Park planted the Royal Oak seedling which now has nearly 30 years of growth. 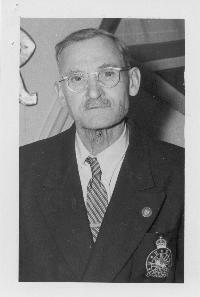 In later years he has been a devoted worker for the Royal Canadian Legion, Branch 88 of which he was one of the founders. Ben Crow and S. T. Rippington joined with Reeve Sutton and W.J. Park in a successful visit to the Commissioner of Dykes re the payment of 1948 dyking tax. The commissioner now realized that his report on the ability of Pitt Meadows farmers to pay was a mistake. S. T. Rippington, now in his eighties, was one of the early presidents of the Farmers' Institute, which he served in many ways -- a councillor for many terms; a founder of Branch 88 Royal Canadian Legion, and had the road on which he lived named after him. In truth a very worthy citizen. Image provided by the Pitt Meadows Museum and Archives.